Icom Inc. (Headquarters: Hirano, Osaka, Japan/President: Masataka Harima) has entered into a partnership with Iridium Communications Inc. (Headquarters: McLean, Virginia., USA/CEO: Matthew J. Desch) to develop and sell a new satellite Push-To-Talk (PTT) communications product for the Iridium® network. 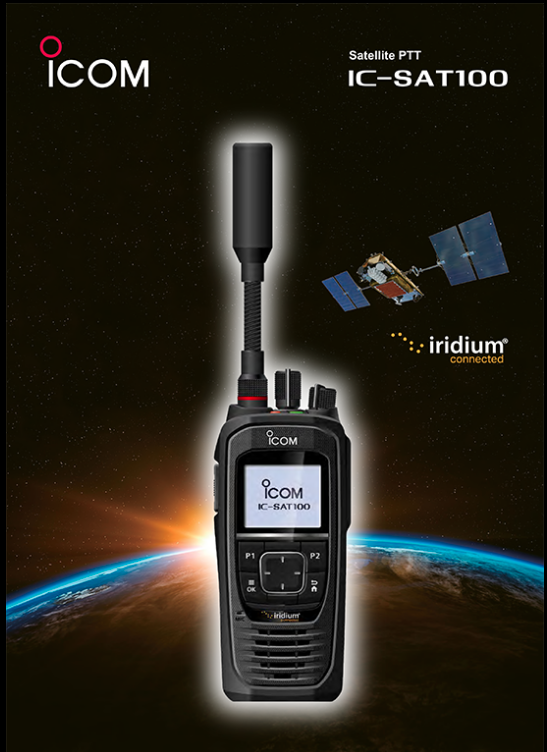 In a smart collaboration of both companies’ core competencies, Icom’s radio expertise and Iridium’s satellite expertise, the partnership will provide a professional radio communications solution which will enable users to communicate wherever they are on the earth. Shipment time and price of the product are still not fixed as of this announcement.